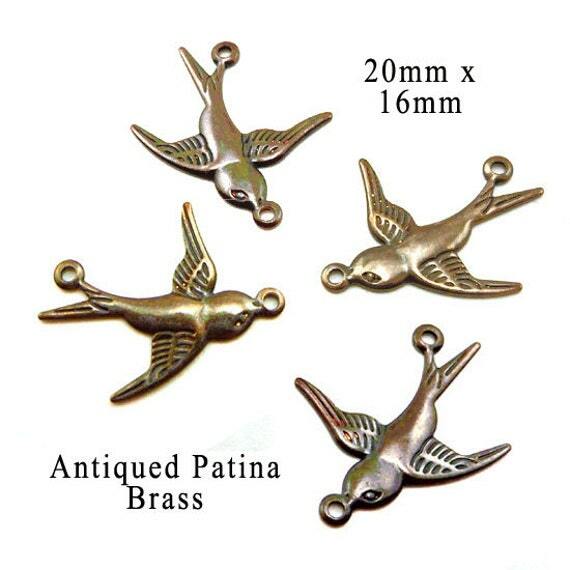 These brass sparrow two-ring connectors (in one incarnation or another) have been popular for a while now – they aren’t as trendy as foxes, or as last-season as owls: they’re a perennial favorite. And this particular batch is lightweight enough that they’re wonderful for earring dangles and connectors. They have a vintage patina (though are actually new brass) – the antiqued look is always in style. They’re available in blackened brass (newly popular this year) or golden raw brass as well – and they add a fresh, pretty touch to your earrings. And of course they’re fabulous for links in your bracelets or necklaces. You know, there are beautiful jewelry supplies from all over the world. 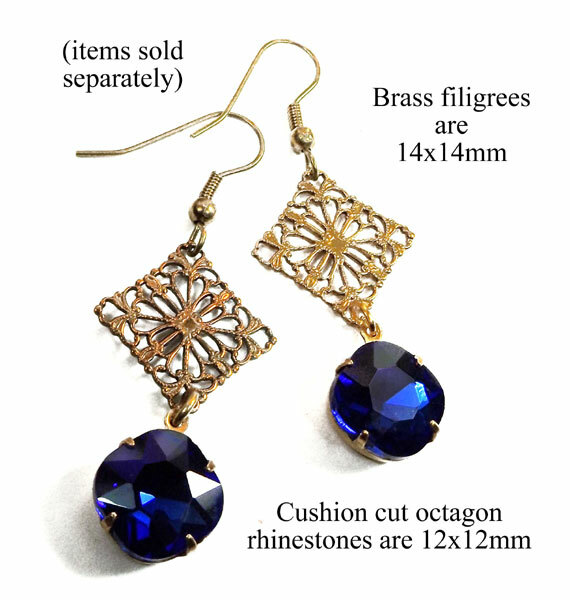 But I have to say, I think our jewelry manufacturers in the eastern USA (Rhode Island and Massachusetts primarily, I believe) really do make the finest brass filigree in the world. 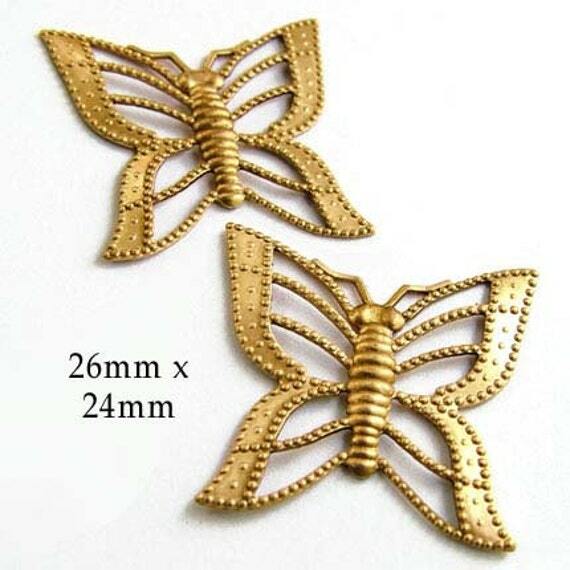 Case in point: these beautiful brass filigree butterfly charms. Look at the detail! They’re delicate (but not flimsy). They’re perfect as slightly asymetric earrings ‘as is’ – and are wonderful with added jewels or pearls. 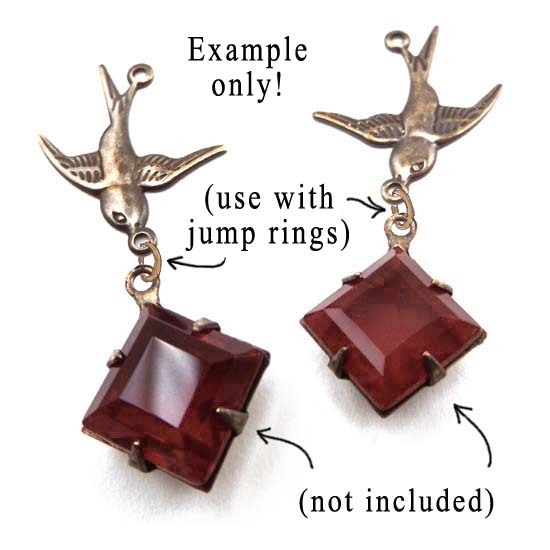 This is what fun, attractive, and affordable jewelry making is all about – easy and pretty! 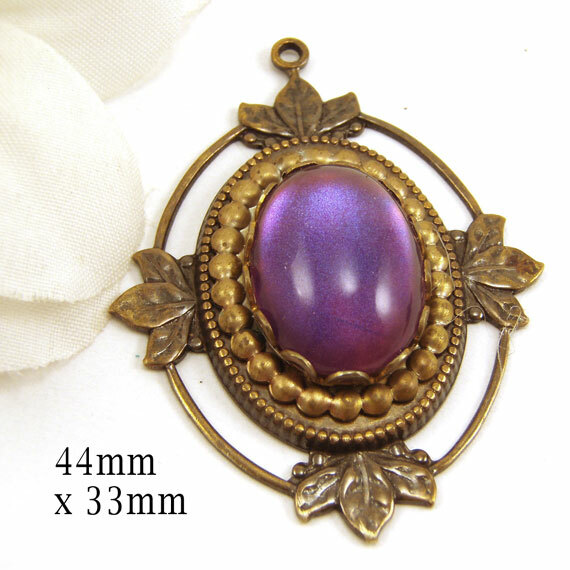 I’ve got several filigree pendants right now – some are one of a kind, some I’ll be able to re-order. I’m hunting for more!